1 Living in Japan Why isnâ&#x20AC;&#x2122;t Yuna able to play the sport she loves? 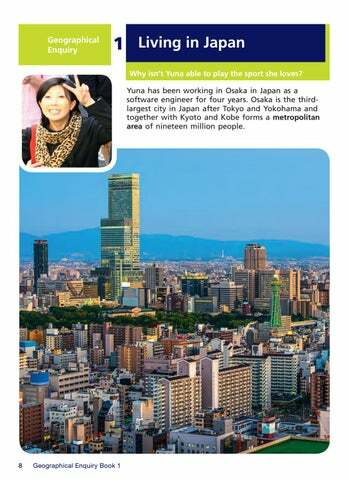 Yuna has been working in Osaka in Japan as a software engineer for four years. Osaka is the thirdlargest city in Japan after Tokyo and Yokohama and together with Kyoto and Kobe forms a metropolitan area of nineteen million people. Yuna shares a rented condominium in the city with two friends. She joined a software design company straight from university and at 27 years old is currently earning US$39,000 a year. She enjoys her work but the hours can be very long â&#x20AC;&#x201C; sometimes up to fifty hours a week. Yuna also finds that being a software engineer can be highly pressurised, particularly in the run up to meeting tight deadlines for clients. The one thing that Yuna finds can really help with the stress, as well as keeping her fit, is to play tennis. She has always loved tennis, right from the very first time she played it at school. Now, although she has the time in the evenings and at the weekend, she doesnâ&#x20AC;&#x2122;t get to play much. 1.1â&#x20AC;&#x201A; Why isnâ&#x20AC;&#x2122;t Yuna playing much tennis? Look at the images of urban Japan. What clues are there here to help explain why Yuna finds playing tennis difficult even though she has the time? Make a list of possible reasons. What is the connection between lack of living space and the price of available land? What do you think the law of supply and demand means? The key reason that Yuna isn’t playing the sport she loves is that playing tennis at clubs and centres throughout Japan is very expensive. At the Utsobo Park Tennis Club in Osaka where Yuna likes to play, each player has to pay US$26 an hour for a court. Yuna finds that even though she is earning a decent salary this is too expensive for her to play very often. A two-hour game plus the cost of travel to and from her home in Ikuno-Ku is well over US$78. In fact, tennis is not the only sport that is expensive in Japan. For example, if Yuna’s passion were golf then she would have exactly the same challenge. At the semi-public golf courses in Japan it is possible to play for US$78 but many courses charge much more than this. In fact, many Japanese golfers find it cheaper to fly to Hawaii or Thailand to play golf than to do so at home. Japanese investors have financed numerous golf courses in Malaysia, Indonesia, Hawaii, Thailand and Singapore to cater for Japanese golfers who can’t afford to play regularly at home. 1.2 So why is playing sports such as tennis and golf so expensive in Japan? Three-quarters of the land area of Japan is mountainous. With a population of 128 million, this means that population density is generally very high (the average for the whole country is 336 people per km2) but this rises to 5500 per km2 in parts of the Tokyo-Yokohama megalopolis along the east coast of the island of Honshu, where thirtyfive million people live. As a result, flat land for building, farming and providing sports facilities is in short supply. Because land that can be developed is scarce, its price rises: this is the law of supply and demand. Figures from www.globalpropertyguide.com show that during 2013, the average price of land in the Osaka Metropolitan Area, where Yuna lives, increased by 2.3% to US$1287 per m2. The average price of a new two-roomed condominium in Osaka is now US$5283 per m2. It is not uncommon for a two-roomed condominium in Osaka to cost over US$840,000. 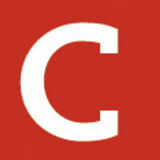 •	Of the available condominiums in Osaka, what is the cheapest per square metre rate available? •	How does location within Osaka affect prices? • What is the connection or relationship between these three images? • Using the relief map on page 9, what proportion of the land area of Japan would you estimate as being below 200 m and above 500 m? • What is the correlation (or link) between where most people in Japan live and the relief of the land? • In terms of the proportion of land covered, what is the most important land use in Japan? Why do you think this? • Considered together, what evidence do these factors provide to help explain why Yuna finds it difficult to play tennis? The Japanese archipelago (island chain) consists of four main islands â&#x20AC;&#x201C; Honshu, Shikoku, Kyushu and Hokkaido â&#x20AC;&#x201C; together with thousands of surrounding smaller ones. Most of the Japanese mountains are covered with dense forest. Only 15% of the land area of Japan is suitable for use either as farmland or living space and consequently agricultural and urban areas are concentrated together. With a relatively large population of 128 million, the people of Japan have learned to adapt their patterns of living to become better suited to the environment in which they live. j Consolidating your thinking j Look at the following images of urban and mountainous areas of the prefecture of Osaka in which Yuna lives. How do they show the peopleâ&#x20AC;&#x2122;s adaptation to a lack of living space? Make a list of all the ways in which people have had to modify or redesign the way they live and earn a living. Be sure to use appropriate subject vocabulary throughout your narrative e.g. relief; urban; megalopolis; population density/distribution; coastal etc. Next you need to draft a piece of explanatory writing to bring all of this information together and help you answer the key question at the beginning of this enquiry. Use the information you have categorised above, plus additional reading of your own (additional sources are recommended below) to demonstrate that you understand the geographical reasons which explain why Yuna isn’t able to play very much of the sport she loves. Your explanatory narrative needs to have the following structure: •	A Title: Why can’t Yuna play the sport she loves? •	An introductory paragraph to set the scene and context – in this case providing background information on Yuna, where she lives and the life she leads. You will need to consider whether you will use maps and images to help set the context. •	A second paragraph, which begins with a topic sentence (this introduces the reader to what the paragraph is going to be about). In this paragraph you will discuss the physical geography of Japan and link this with appropriate maps and images. •	A third paragraph (the focus of which will again be introduced via a topic sentence), which explains the impact of the physical geography of Japan on human activity (e.g. where and how people are able to live) using connectives such as ‘since’, ‘because’, ‘so’, ‘as’, ‘therefore’ and then ‘this leads to’, ‘which causes’, ‘this means’, ‘as a result of’, ‘due to the fact that’, etc. •	A concluding paragraph, which is a summary of the main points and answers the question. Once again, look to apply appropriate connectives such as ‘in conclusion’, ‘in summary’, ‘to sum up’, ‘overall’, ‘on the whole’, ‘in short’, ‘in brief’, ‘to conclude’, ‘so to round off’, etc. A model of explanatory writing, which provides the same kind of structure as the piece that you are going to write about Yuna, and which illustrates the key conventions, is available for you to print off from the Teacher Book (pp.12–13). Read through this example carefully and use it as the basis for your explanation of: Why can’t Yuna play the sport she loves? Use the additional sources of information to the right to extend the depth and breadth of your explanation. During the drafting stage of this piece of explanatory writing why not swap your developing answer with a partner and each use the table in the Teacher Book (p.14) to check how your respective answers are shaping up? Discuss with your partner which aspects of your explanatory writing you feel are most effective so far and which require further development. Extending your enquiry   1.3 How is Japan creating more living space through umetatechi? Because living space is in such short supply, the people of Japan have been reclaiming land from the sea for nearly 1000 years – the first man-made island of Kyogashima was created in 1173. The first large-scale reclamation project was started in Tokyo Bay in 1592. Today, 0.5% of the entire land area of Japan is estimated to be made of reclaimed land or umetatechi. j Consolidating your thinking j Look carefully at the images of Tokyo Bay on the following page. The map dates from 1898. How has the coastline changed since then? What shape are the land extensions and islands that have been created in Tokyo Bay over the years? Look at the map on this page, in which decade did most land reclamation in Tokyo Bay occur? Why do you think this was? How is the reclaimed land being used today? Read the notes on the lack of living space in urban Japan on p.15 to extend your understanding of this problem. There are several stages in the process of reclaiming land from inter-tidal areas around the coast. Like Japan, the Netherlands in Europe has a very long history of reclaiming land in order to increase its living space. Here, the areas of new land are called polders. Spend some time researching the process of reclaiming land in both of these countries. The new Kansai International Airport opened in 1994 and is built on an artificial island in the middle of Osaka Bay, twenty-four miles from Osaka City. It currently handles fourteen million passengers each year. Originally, the new airport was planned to be built on the mainland near Kobe but the city refused the plan. The existing Osaka International Airport could not be expanded because it was surrounded by densely populated suburbs. Construction started in 1987. The sea wall was finished in 1989 and is made of rock and 48,000 tetrahedral concrete blocks. Three mountains were excavated to produce twenty-one million cubic metres (twenty-seven million cubic yards) of landfill. It took 10,000 workers and ten million work hours over three years, using eighty ships, to complete the thirty-metre (98 ft) layer of earth over the sea floor and inside the sea wall. In 1990, a three-kilometre bridge (carrying road and rail links) was completed to connect the island to the mainland at Rinku Town, at a cost of US$1 billion. A second runway was added in 2007, allowing the airport to operate twenty-four hours a day. Over 15,000 people are employed at the airport and in economic activities on the mainland that are linked to it. •	Examine all of the resources again and make a list of two columns: costs and benefits. Not without controversy Whilst the airport was an amazing piece of engineering, which needed to be designed to withstand earthquakes, typhoons and their associated tidal surges, it was not universally welcomed by everyone. •	Who or what do you think might have benefited from the construction of the airport and who or what might have been placed at a disadvantage? •	The map opposite will help you to think about the position of some key stakeholders. A stakeholder is anyone with an interest in a development, event or business and can include individuals, groups or organisations that are affected by the planned activity. •	How and why might each of these stakeholders have welcomed or been concerned about the construction of the airport? •	Discuss your views with others and draw up a list that everyone has had a chance to contribute to. An eco-airport in Osaka Bay? From the time of its design and construction the operators of Kansai International Airport have been following an Environmental Management Plan based on the principles of sustainable development to create what they hope will be an example of an eco-airport in Osaka Bay. According to one definition, sustainable development demands that we seek ways of living and working that enable all people of the world to lead healthy, fulfilling and economically secure lives without impacting negatively on the environment and without endangering the future welfare of all the people on the planet. •	Read through the plan carefully. •	The management board of the airport set performance targets for each of the principles of the plan. How does the airport measure up in terms of meeting its targets? •	In what ways is the airport addressing the needs and concerns of local stakeholders? •	Are there any stakeholders’ issues that were raised during your discussion that you think are not being addressed through the plan? If so, what do you feel could be done by the airport authorities? •	Overall, do you feel that Kansai International Airport can be considered as a case study of sustainable development according to the definition quoted above? •	protects a pleasant regional environment •	has a low impact on the global environment •	recycles •	values nature •	exists in harmony with the social community. 1.4 What is the likelihood of a new London estuary airport being located on reclaimed land? With a population of sixty-one million people and an average population density of 262 people per km2 (compared with 336 per km2 in Japan), the United Kingdom also faces the challenge of a lack of living space in parts of the country (such as the Southeast where population density averages 452 per km2). Finding space for activities requiring very large areas of land is particularly problematic and often highly controversial. Building or expanding an airport is one such activity. In the United Kingdom, the two runways of London’s Heathrow Airport handle over seventy million passengers each year, travelling with eighty-four airlines to and from eighty countries through five terminals, making it the busiest airport in the world. A third of passengers transfer to other flights, which means it is also a major hub airport. The growth of air traffic over the last twenty years has meant that Heathrow is now close to maximum handling capacity and very soon it will not be able to take any more flights. Planners now face a dilemma: how to provide more airport capacity in Southeast England. One alternative could be to build a new airport on reclaimed land in the Thames Estuary. j Consolidating your thinking j A planning proposal involving the location or route of a new piece of transport infrastructure, such as an airport or railway line, is almost always controversial with strong views ‘for’ and ‘against’. A good example of this is the planned High Speed 2 (HS2) railway that will link London, Birmingham, Manchester and Leeds. This US$27 billion project will begin construction in 2017 and be operational by 2026. Research each of the following options and prepare a PowerPoint presentation to assist you in identifying and communicating to others the advantages and disadvantages of each proposal. Your presentation should also provide your considered view as to the best option for the way forward. This could, if you wish, include other considerations such as ideas on more sustainable forms of travel that might reduce the number of aircraft flights in the future and do away with the need to expand capacity. Similarly, the three options for increasing air passenger and freight carrying capacity in Southeast England have very real costs and benefits depending on the perspective of different stakeholders. Geographers often refer to the two concepts of accessibility and proximity when considering the position of different stakeholders. Having accessibility to something (such as a new airport) refers to being able to reach and take advantage of what it offers without suffering any major disadvantages from it; whereas being in the close proximity of something like a new airport means that you are likely to experience more disadvantages than benefits from it. This is one reason why many people are in favour of constructing a new airport for London and Southeast England on reclaimed land in the Thames Estuary – maximising for the population the benefits of accessibility whilst minimising the disadvantages of proximity.